The evening kicked off with Paul Miro who played a 50-minute support slot showcasing songs from his forthcoming album including the great Borderline Clone. 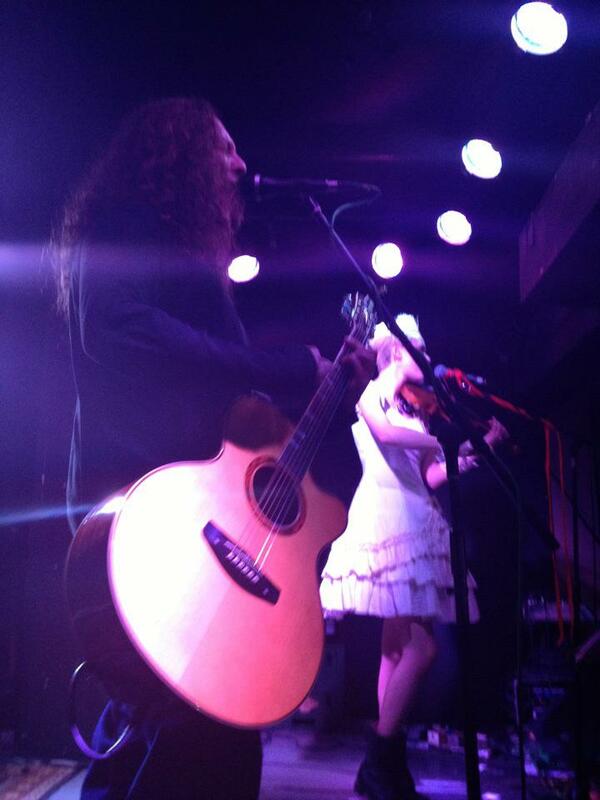 Miles Hunt and Erica Nockalls from The Wonder Stuff played a great 90-minute acoustic set performing songs from their two albums and some gems from The Wonder Stuff’s back catalogue. Kicking off with Manna From Heaven, DWI (Deal With It), Fill Her Up and Foot Down (a song about their favourite pub from home) and Mission Drive. Hunt introduced each song with the stories and witty anecdotes as to how they were written and inspired. A particular highlight was the story behind The Cake involving a certain Wayne Hussey from The Mission! Hunt had the crowd help choose which Wonder Stuff songs were played, songs of note included Welcome To The Cheap Seats, Golden Green and the fabulous Size Of A Cow which went down very well with the fans. Hunt and Nockalls unveiled a couple of brilliant new tracks from the new Wonder Stuff album called Oh No, It’s The Wonder Stuff including the new single Oh No and The Right Side Of The Turf (inspired by an old man they know from back home and local hostelries). Circle Squared and Cartoon Boyfriend got the biggest cheers of the night and the set ended with Here Comes Everyone. Miles and Erica returned to the stage to finish the gig with the great Calling My Shadow, a fitting end to a hugely entertaining evening. It is great to see songwriters perform gigs acoustically and without the security blanket of a whole band around them. Their songs are shown in a different light, stripped down and as tonight proved, are all the better for it.